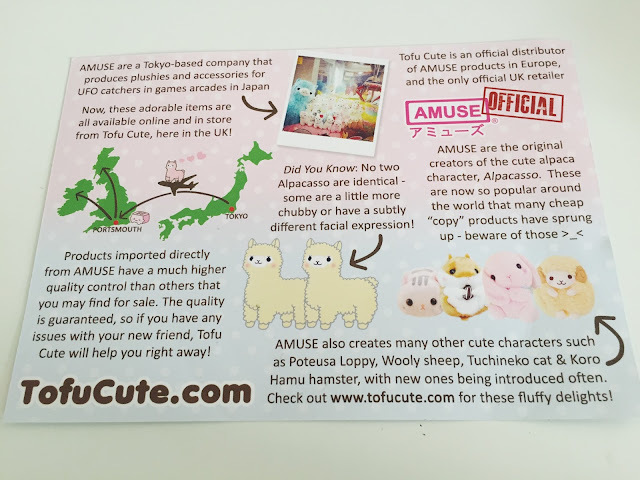 Bloo 'n' Stuff: Another Tofu Cute Haul! 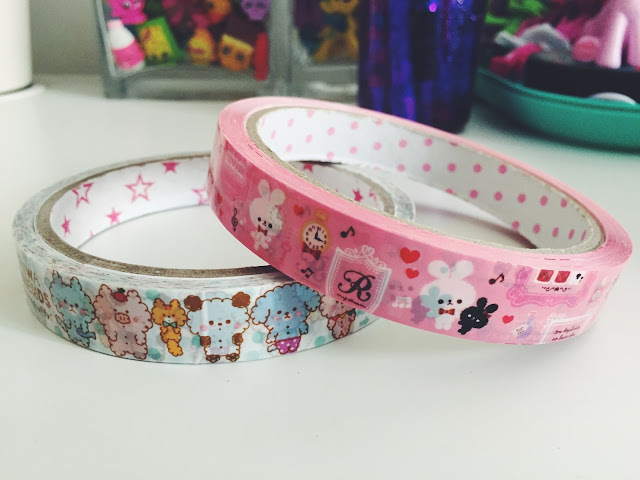 First we have these super cute kawaii deco tapes. 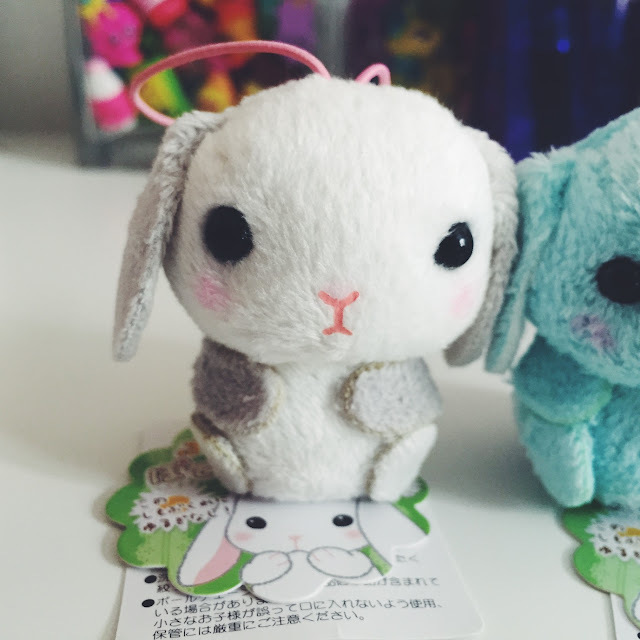 Fluffy Fuwa Friends and Bunnies in Paris. which are both £1.99 at the moment. 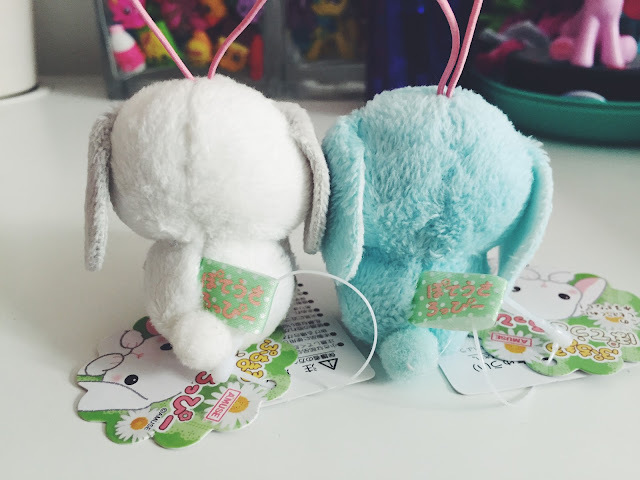 They are so adorable and great quality. They're also bigger than I expected as I'm used to seeing the tiny rolls of decorative tape. I'm so happy with these and I can't wait to stock up on more. 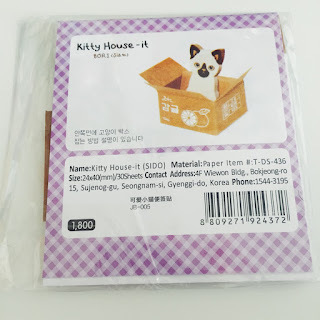 I could not resist these adorable Kitty House-Its. 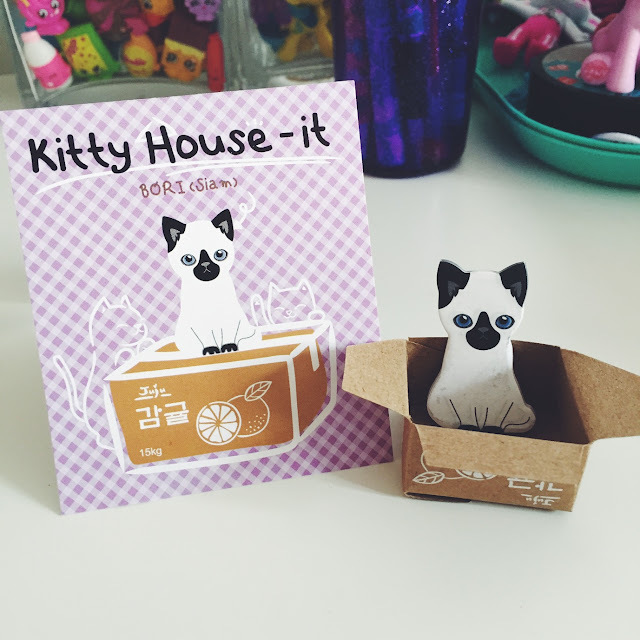 They are tiny kitty sticky notes. 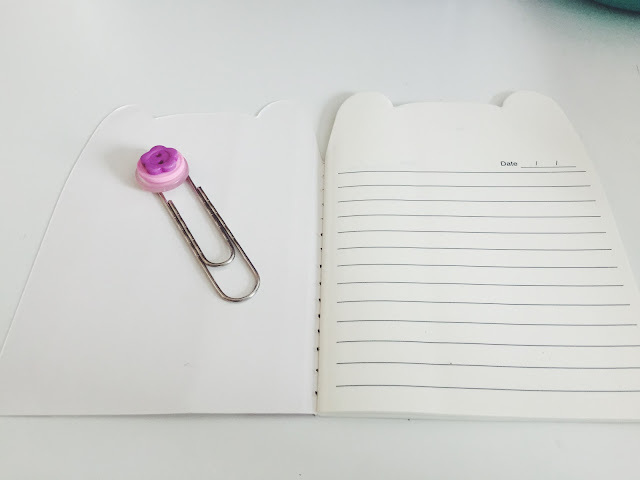 Great for marking a page. You get around 30 in a packet and they come with a little DIY box to make up. They are adorable and I just love them. And totally not just for the novelty... Okay, mostly for the novelty. But at £1.20 a packet I couldn't resist! They also have other kitties to choose from. 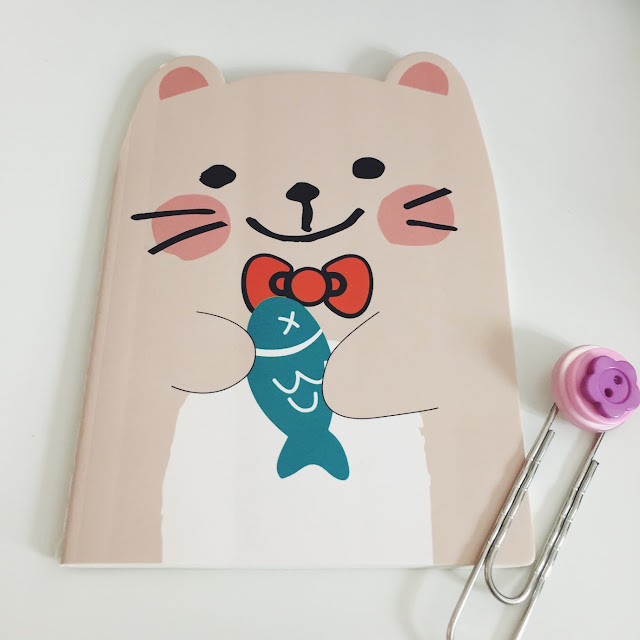 I am in love with this little kawaii animal die-Cut lined notepad. It cost £1.50 and there are four to choose from and I went with the pink kitty. Though, I wouldn't exactly call it's pink but I knew that from the picture on the website. I'm not sure what I'm going to use it for yet. 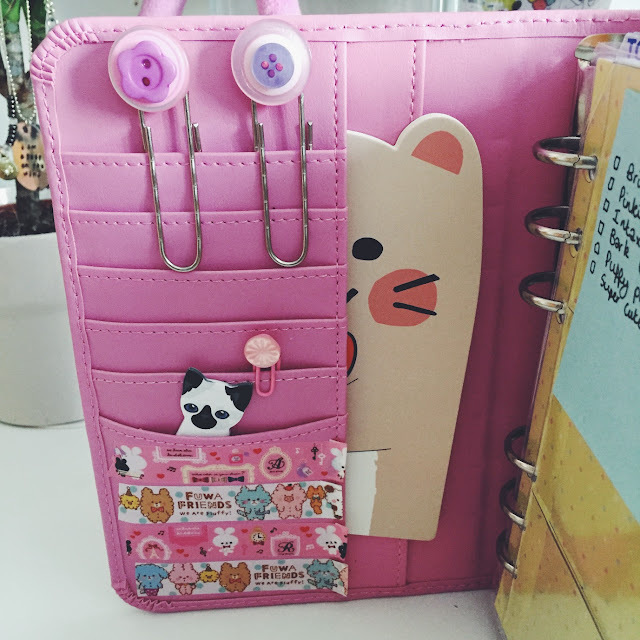 I always find it hard to decide what to do with note books that are this cute. What kind of thing do you use them for? 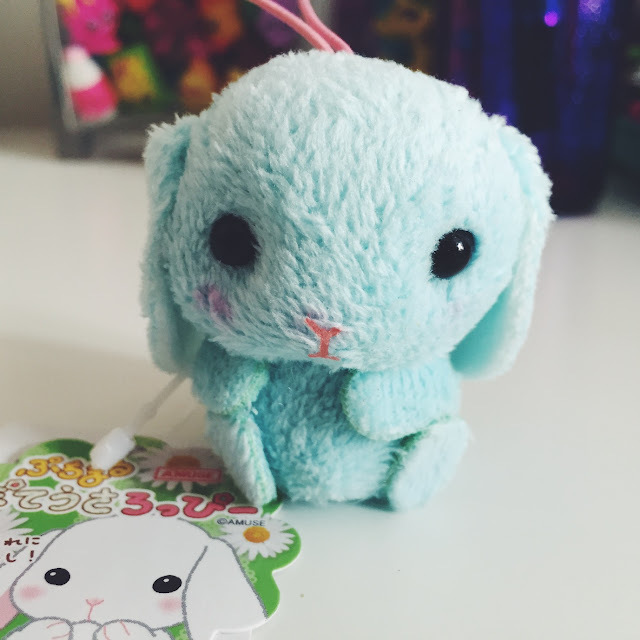 Next we have these teeny adorable poteusa loppy bunny plush charm. I bought the little blue one for myself, naturally, and the other was a treat for Eva. They are too cute! 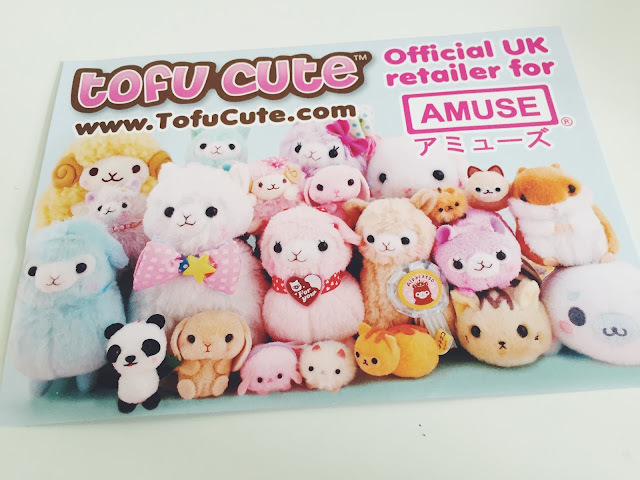 I'm probably going to end up with one of each plush they have on Tofu Cute, especially if there's a blue version. These were £2.99 each and stand at only 5cm tall. Itty bitty! These are so super cute and really affordable I think. Great quality. 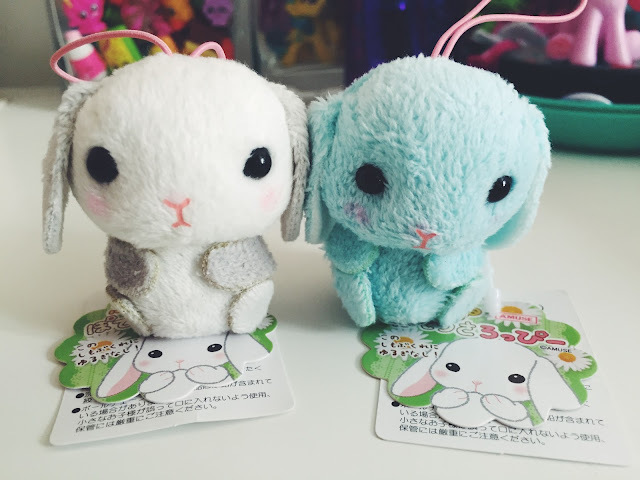 I may pick up some of these and the other minis they have for future swaps, if I can bring myself to let go of them! 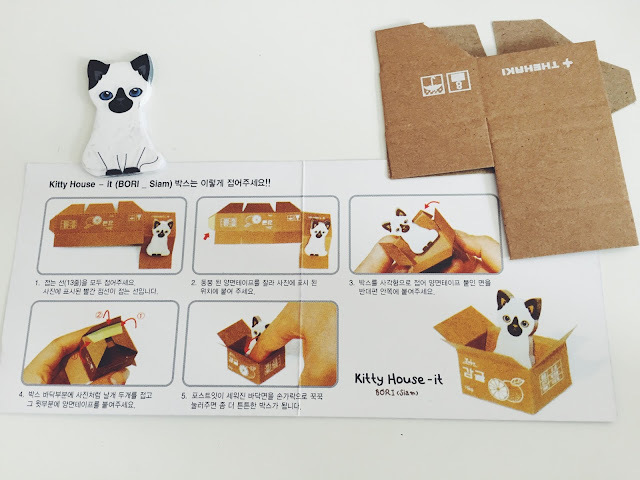 Lastly we have the little Tofu Cute card. I didn't get this one last time. 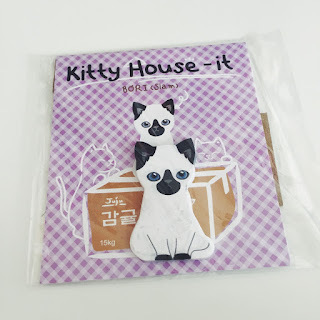 It's too cute to just toss away so I'm going to put it on my pin board. Maybe I can put an X through each plushies face as I add them to my collection! Kidding. 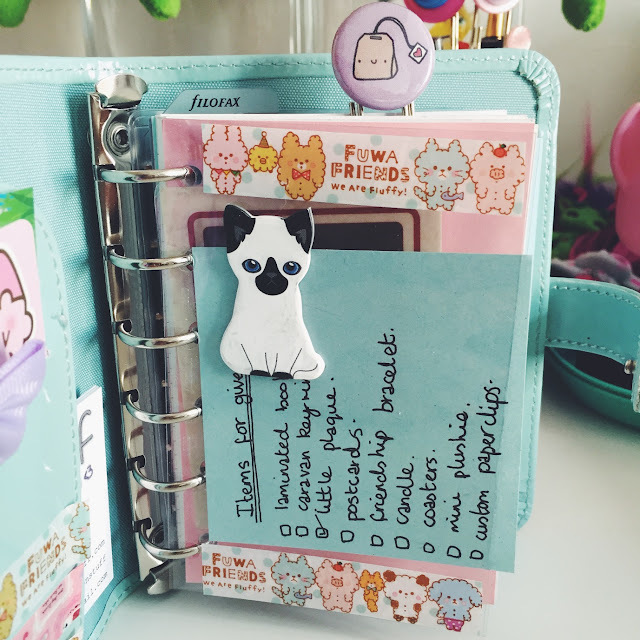 Anyway, I thought I would include a few photos of my stationery items in use in my new planners. I used the tape to make tabs for future use, in case I need to mark a page or something. I also used it to decorate the dashboards. 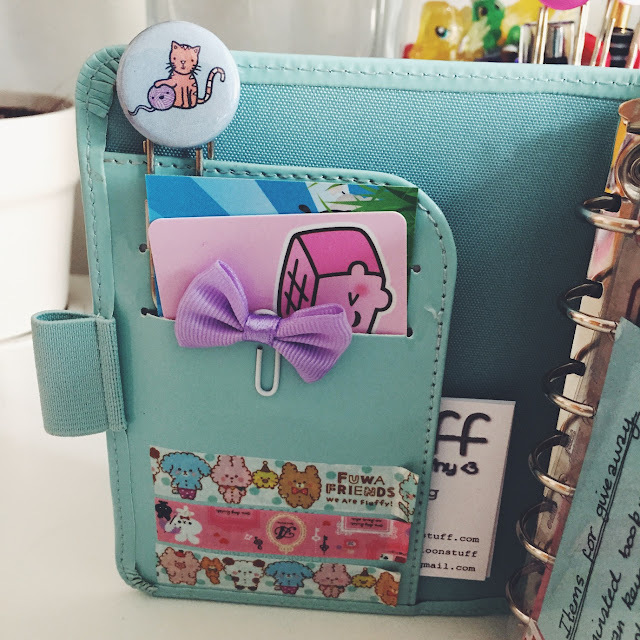 I then split the kitty house-its in two and put some in my personal planner and also some in my pocket planner. 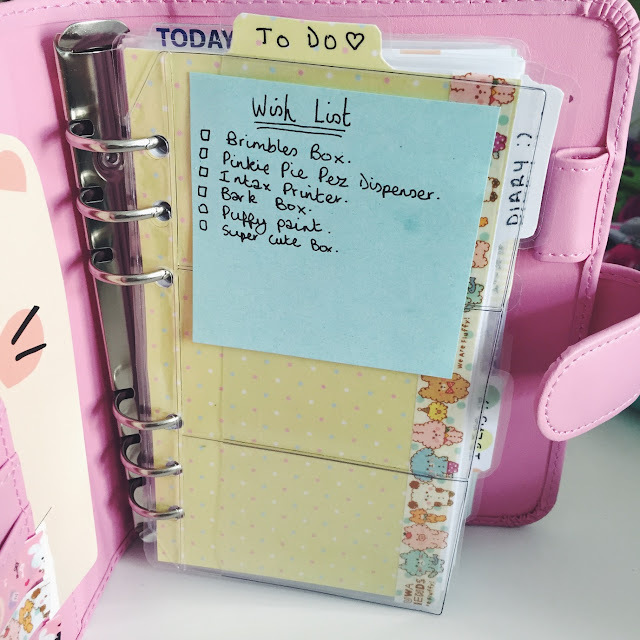 I also slid the little pink kitty notepad into my personal planner. It's a perfect spot for it. 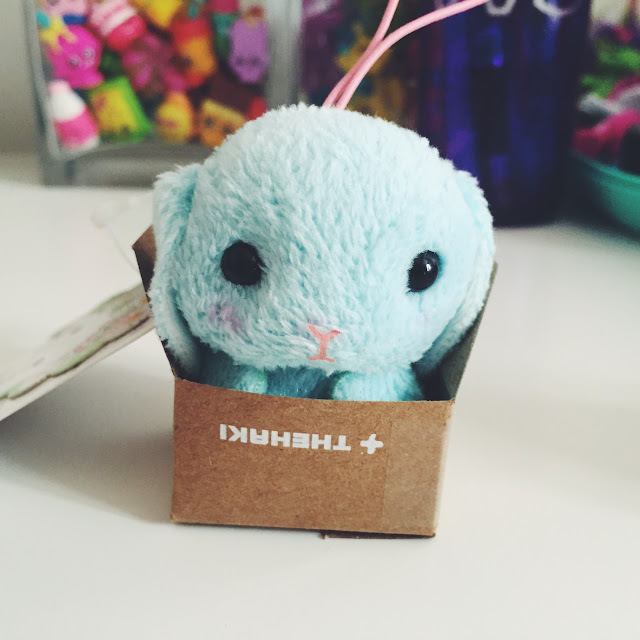 I felt bad abandoning the little box that came with the kitty notes so I made it a little home for blue bun. Fits perfectly! And that's my mini Tofu Cute haul, the second of many I'm sure. It's a great store and I can't recommend it enough. Easy to navigate, affordable and quick postage. What more could you want? 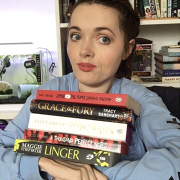 I'm sure it won't be long until my next purchase!